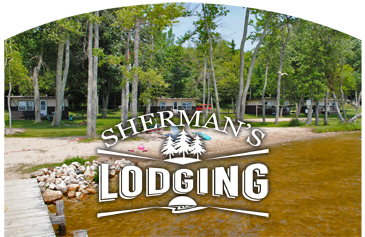 Sherman's Resort offers guests incredible Curtis MI Lodging with a variety of cabin rentals and campgrounds. Situated directly along the South Manistique Lake, our Upper Peninsula Resort offers year-round outdoor opportunities for all ages. This South Manistique Lake is part of the largest lake complex in the Upper Peninsula - perfect for swimming, boating, fishing, and relaxing. Whether you are looking for Curtis Michigan Cabin Rentals and Cottages, or a Curtis MI Lakeside Campground, Sherman's Resort invites you to make your reservations here with us. Get $100 off our weekly cabin rental rate. Take a vacation & make it an adventure. Our Upper Peninsula Resort is located 6 miles southwest of Curtis, MI and has 1,000' of lake frontage. South Manistique Lake consists of an amazing 4000 acres and we are situated along its protected bay. 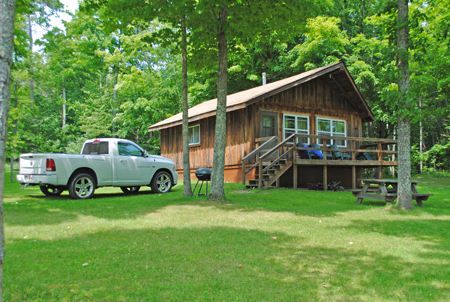 Our Curtis Michigan Cabin Rentals & Lakeside Campground is very secluded and quiet. Summertime couldn't be more enjoyable than at the Sherman's Resort. Bring your family and friends and relax on beautiful South Manistique Lake. Our Upper Peninsula Resort also offer lodging through all our hunting and fishing seasons. We are surrounded by some of the best hunting land in the Upper Peninsula. Migratory bird season is great for duck hunters who want to lodge were the action is, since lodging and camping at Sherman's Resort puts you right on the lake. Sherman's invites you to check out our Curtis Michigan Lakeside Cabin Rentals and Cottages and plan your vacation with us today. Sherman's Curtis MI Lakeside Campground brings you right to the lake with its beautiful setting along the back bay. Guests will find an affordable family friendly atmosphere that encompasses all that South Manistique Lake has to offer. Guests are encouraged to experience the lake, bring your kayaks, canoes or boats. 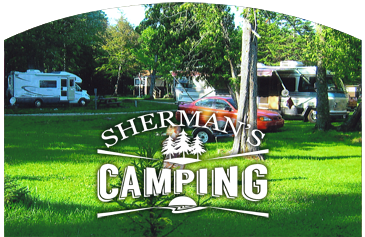 Sherman's invites you to learn more about our Curtis MI Lakeside Campground situated on South Manistique Lake. A great place for hunting and fishing - open spring, summer, fall and Deer Season (November). Make sure to check out our great Upper Peninsula Resort and reserve your stay with us. 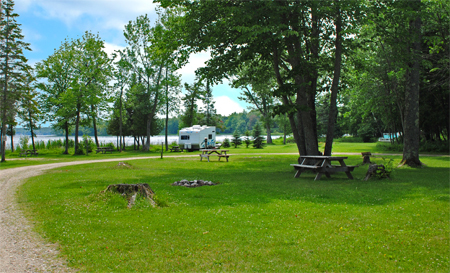 Learn More >> Sherman's resort also has a modern campground nestled by the back bay of South Manistique Lake. 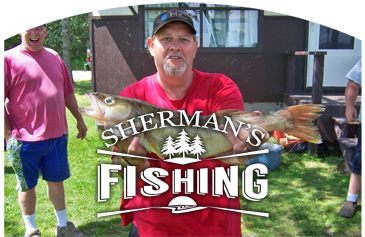 Learn More >> Some of the best UP fishing await your visit to Sherman's Resort. Find your adventure here. We request a $50.00 pet fee, per pet. * We allow pets as long as they are under 18 pounds. Pets must be crated while in cabins and cannot be left in cabins alone. A fee of $75 a pet will be charged.